After our self-drive safari, we traveled via train to Cape Town. We thoroughly enjoyed the beautiful city. We had a week there, but we wished that we could have spent more time! Scalabrini Centre – The first four nights we stayed in the Scalabrini Centre which was right in the City Bowl of Cape Town. We chose it initially because it was quite close to the train station and we knew it was within walking distance to many of the sites. 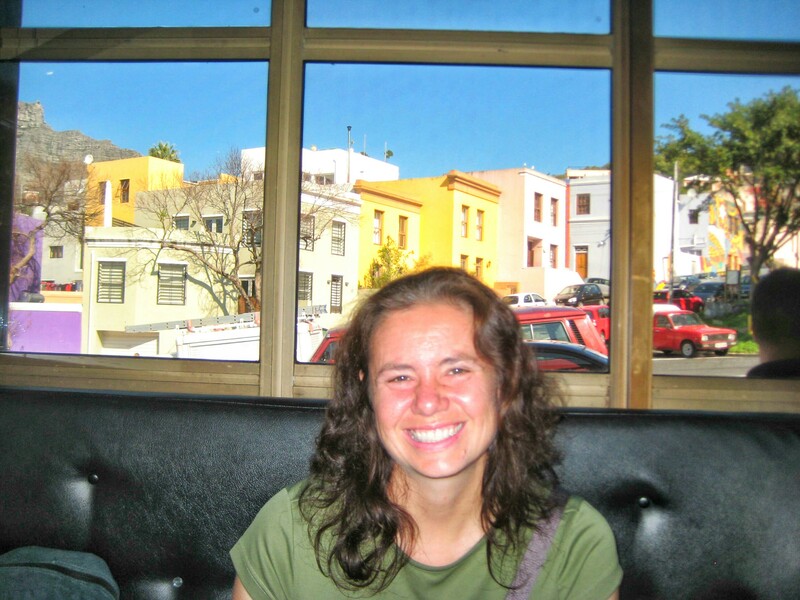 We enjoyed the hostel so much that we booked past our initial two nights. It was very clean and cute. The other great thing is that the Scalabrini Centre serves as a refugee service center in Cape Town and also has English classes. We felt good knowing that some of our money was going to support a good cause. We were trying to save money after our expensive self-drive safari, so we chose to stay in the dorm. This turned out to be a good choice. We shared the 6-bed dorm with 1 other person the first night and then had it to ourselves after that. The one downside was that not a lot of other people were there, so we weren’t able to make many connections. Amber Tree Lodge – For the rest of our week, we decided to move to a little bit more touristy area, closer to Long Street and to Table Mountain. We loved the Amber Tree. We stayed in the dorm and were slightly disappointed just because there was ALWAYS someone sleeping in the dorm which made every day living slightly difficult. However, there was a fabulous common area and we really enjoyed meeting and making friends with many of the other travelers. District 6 was a neighborhood in Cape Town that was made up of mostly colored (an official designation of race during apartheid) people. During apartheid, the government decided that this area, because it was quite close to the city center should instead be designated a white area. Tens of thousands of people were forcibly removed from District 6 and much of the area was razed. There is now a museum to commemorate the neighborhood. We found it interesting – almost a scrapbook dedicated to what was- lots of local stories and remembrances. The Castle of Good Hope was the first permanent European settlement in South Africa. It was built by the Dutch East India Company in the 1660s. It is quite beautiful, yellow walls and a star shape. Entrance includes a free tour which we quite enjoyed. We also were fortunate to see the “Key Ceremony” at noon. Take a trip out to Robben Island to see where Nelson Mandela (and many others) were incarcerated. We choose to take a tour with the Baz Bus one day to get us all the way down the Cape Peninsula. While a bit expensive, we thoroughly enjoyed the tour and it hit many places we were interested in seeing. The first stop was Hout Bay which was quite beautiful. We then continued over Chapman’s Peak Drive which was a marvel of engineering and gorgeous. We stopped at Simon’s Town to visit the African Penguins at Boulders Beach. We rode bikes in the Cape Point section of Table Mountain National Park. The unique flora and fauna here have helped to label it a UNESCO World Heritage Site. Then we visited both Cape Point and the Cape of Good Hope (the most southwestern point in Africa). We had a fantastic tour guide who made sure we were never bored and we learned a lot. 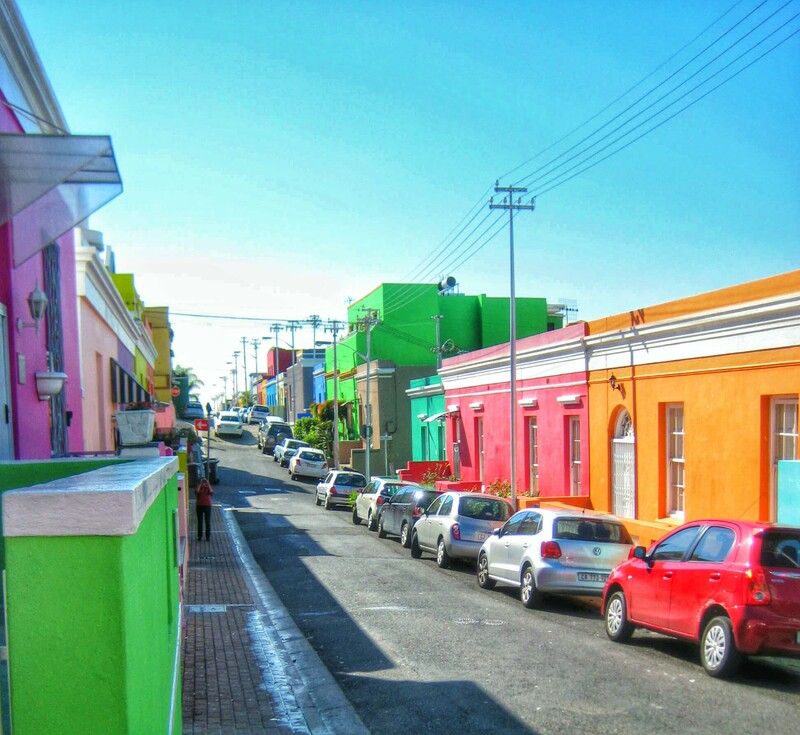 Bo-Kaap is neighborhood in Cape Town that was essentially a township know as the Cape Malay Quarter. It was populated by slaves initially. 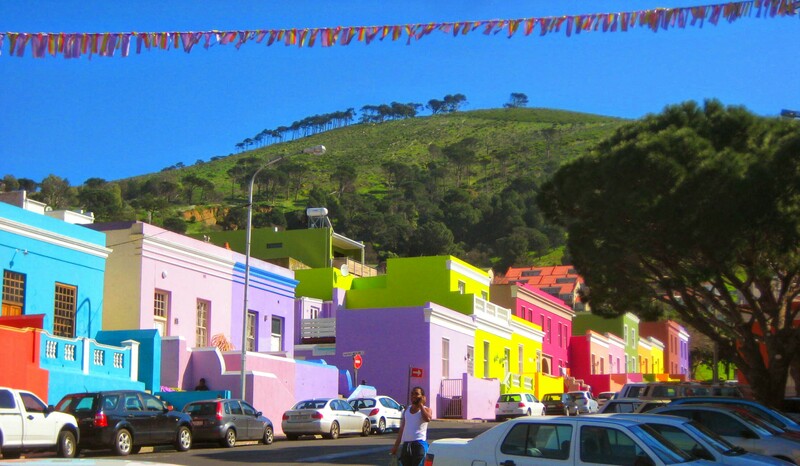 Today it is a beautiful neighborhood where you can find Cape Malay food and amazing colorful buildings. 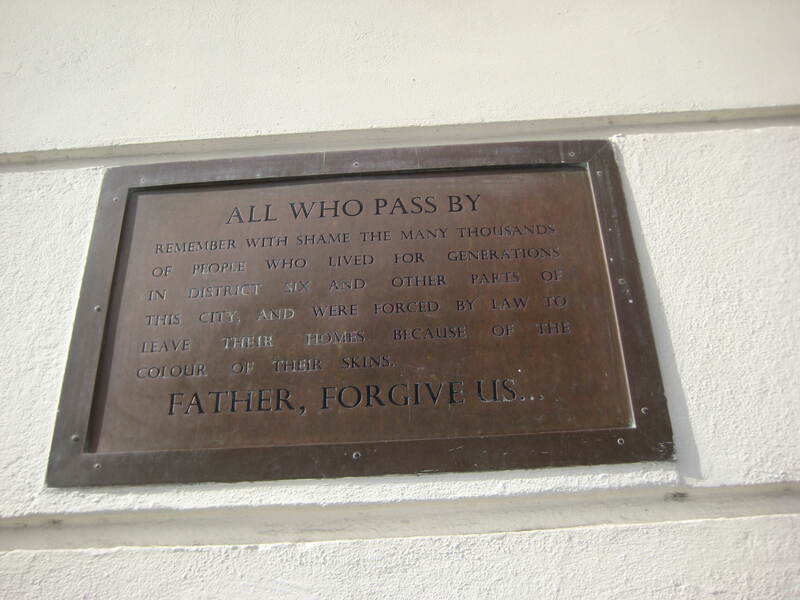 It is also the heart of Islam in Cape Town. We enjoyed lunch here and then visited the Bo-Kaap Museum. It was a small museum but we quite enjoyed meeting and chatting with the man who worked there about Cape Town, as well as American history. This is one of those bright red double decker bus tours that we also did in Joburg. We really enjoyed our tour there so we decided to try it in Cape Town as well. Cape Town has many more options and different lines to choose from. We chose the Blue Line which we knew would take us into wine country south of Cape Town. Our first top was the Kirstenbosch National Botanical Garden. This garden was huge and amazingly beautiful. Della really enjoyed the section where they asked to you to touch and smell different plants. We also liked the garden which highlighted endangered and extinct plants, the protea garden, and the new tree canopy walkway. The curse of the city sightseeing tours is that you have to stick to a schedule if you want to visit more than one place in day. We could have spent MUCH more time in the gardens than we did. It is definitely worth a whole day. The second stop for us was the Groot Constantia Wine Estate. This is the oldest wine estate in South Africa. It was started in the late 1600s by members of the Dutch East India Company. It took awhile but it then began to compete with all the fine wines in Europe and has continued to make excellent wine since then. We took the cellar tour and participated in a delicious wine tasting. We then wandered the vineyard and explored the historical buildings. No trip to Cape Town is complete without a trip to the top of Table Mountain. There are two ways to get up- the cable car or hiking. We knew we wanted to take on the challenge and hike it! There are several routes up, but we decided on the most popular called Platteklip Gorge. 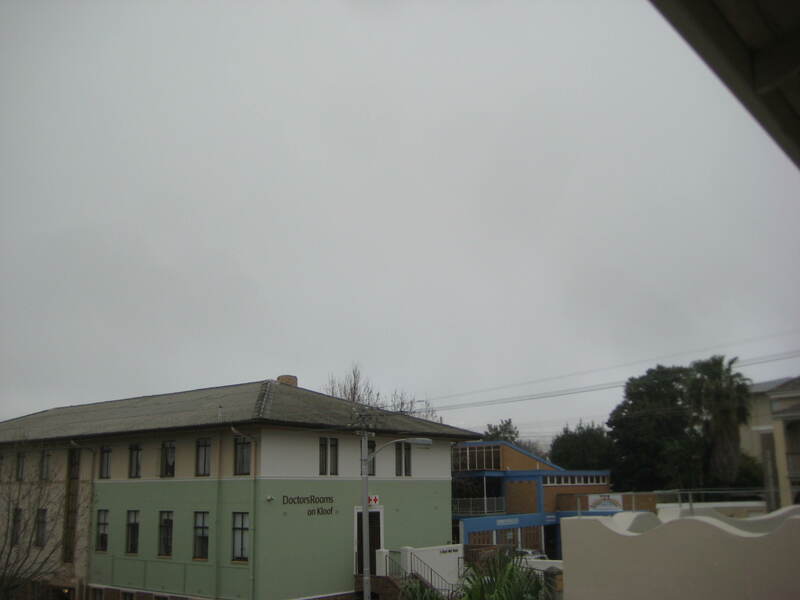 We were very disappointed when we woke up on our last full day in Cape Town… The weather forecast had been for beautiful sunny weather, but instead a layer of mist was everywhere. This was the view of Table Mountain at first. Table Mountain should be there. We were angry with ourselves with leaving it for the last day, but we decided to do it anyway. We were thrilled when we arrived at the base of the Gorge (via taxi) to see that we had risen above the mist. The hike was long and difficult- many stairs which felt like we were going straight up (though this is the least strenuous way route up the mountain). There were times where we felt like the clouds were following us. But we made it up and then decided to take a side hike on the top to Maclear’s Beacon which is the tallest point on the mountain. We took a slightly different route back and were amazed by how close the path came to the edge of the cliff. There had been signs warning that this route could be dangerous in wet or windy weather and we could definitely see why. With our beautiful day though, it was a good choice. We then made our way to the other side end of the mountain to the cable car station. We decided to take the cable car down and enjoyed the descent back into the clouds. We ate in many different places, but we narrowed it down to only two to recommend. Biesmiellah – This restaurant is located in Bo-Kaap and has been serving Cape Malay food for many years. 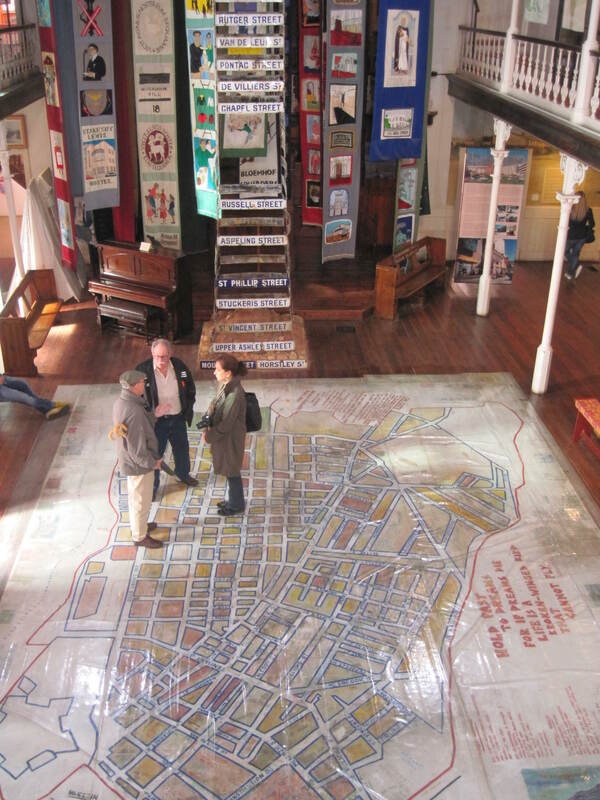 It is an institution of Bo-Kaap, even mentioned in the museum. We thoroughly enjoyed our meal of Bobotie and Tomato Breedie. Eastern Food Bazaar – There were many restaurants similar to this in Cape Town. But we really thought it was fun. It is a long string of counters with different kinds of food, similar to a food court. You would pick what you want and go to a central counter to pay and then go back to the counter with your food. 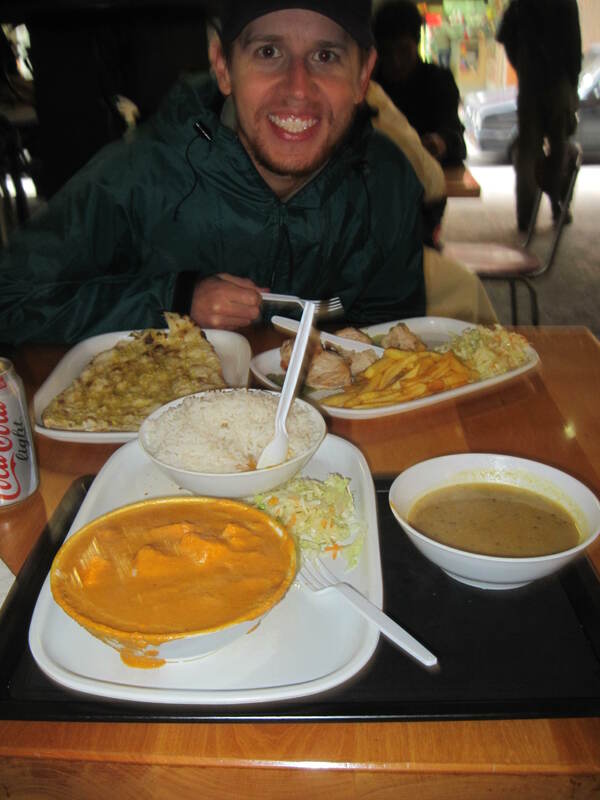 We had huge portions of delicious food for very reasonable prices. All this for only $8!